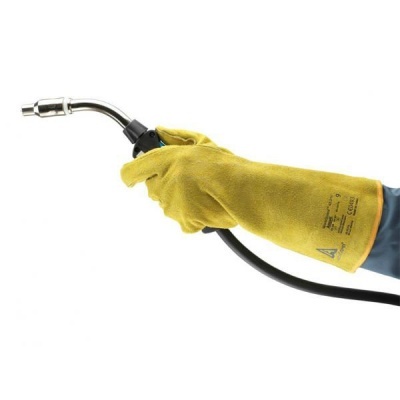 Despite being best suited to welding applications, the Ansell ActivArmr WorkGuard 43-216 Leather Kevlar Work Gauntlets provide impressive flexibility and mechanical protection, meaning that they are highly useful across a wide range of industries. With Kevlar seams and cowhide reinforcement, the ActivArmr WorkGuard Gauntlets are incredibly durable, guaranteeing protection for extended periods of time. 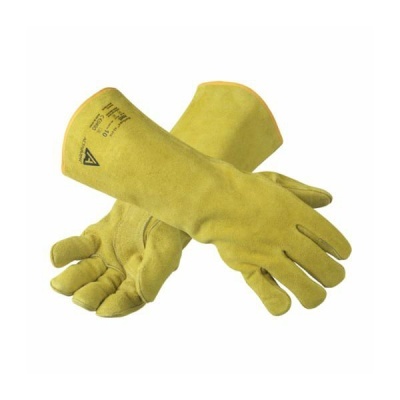 The Ansell Leather Work Gauntlets are available in three sizes that should suit the hands of most users. Please measure the circumference of your hand around the knuckles (excluding the thumb) with your hand open and your fingers together, and the length of your hand from the tip of your middle finger to your wrist.